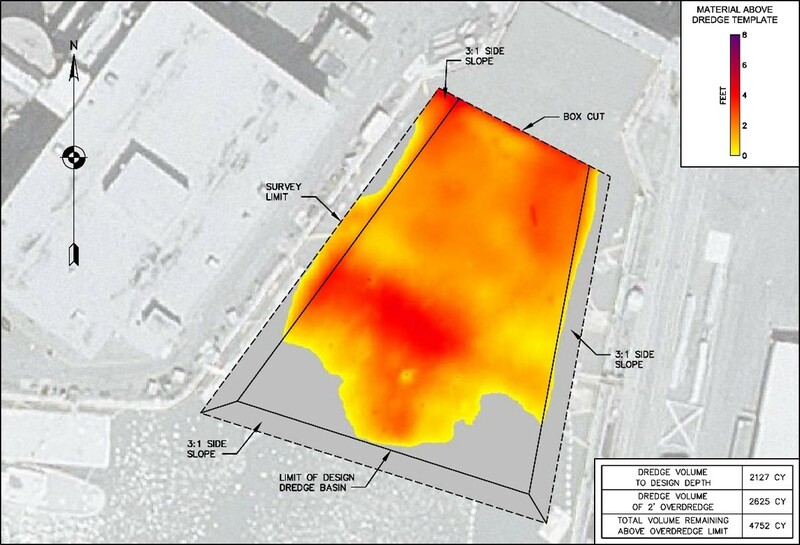 Single beam or multibeam techniques can be used to monitor dredge activity related to sediment removal or channel and berth deepening. 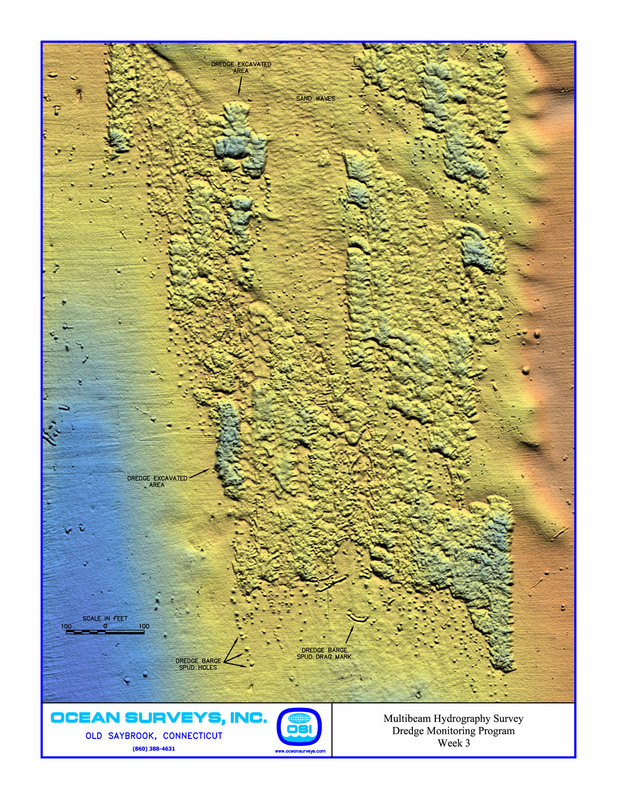 High-resolution mapping along with accurate horizontal and vertical references ensures that dredge design objectives are achieved. 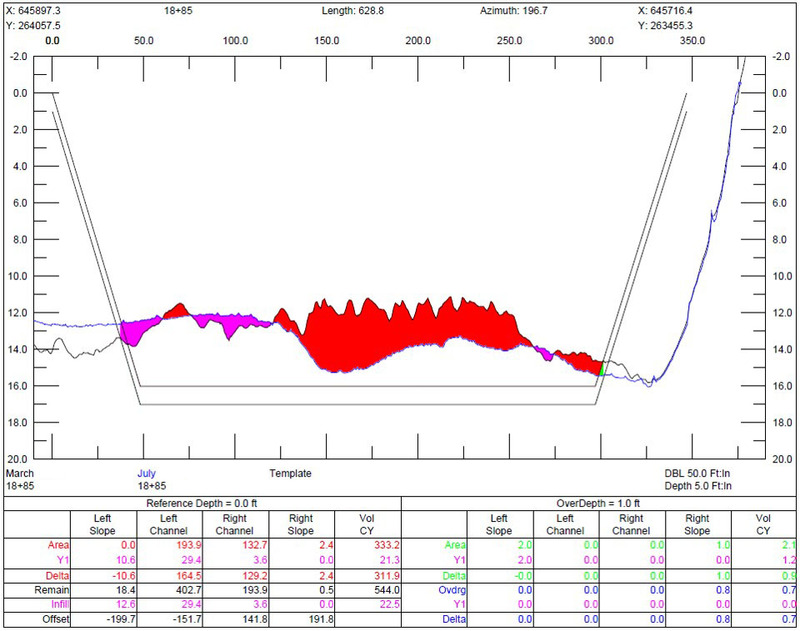 Example of "average end area" statistics for one contributing cross-section used in a post-dredge volume calculation.